Steven (Chicagoland, United States) on 23 February 2011 in Art & Design and Portfolio. 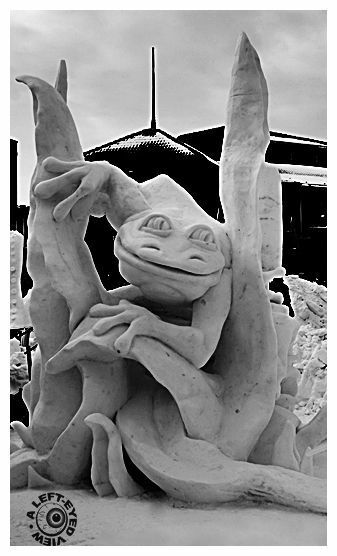 Snow sculpture of this frog created at Winterfest 2011 in Lake Geneva, Wisconsin. On to warmer venues tomorrow. Photo captured February 5, 2011. I like this sculpture, very original :) Nice shot ! Anyone offer to kiss it? funny idea, masterful execution, great take! How the heck do they do those? They are like sand sculptures!! Fantastic! Superb and excellent capture with a very good framing. Have a great day Steven. Amicalement Antoine. A cool critter if you're not a fly. Haha, these folks are artists! Super!